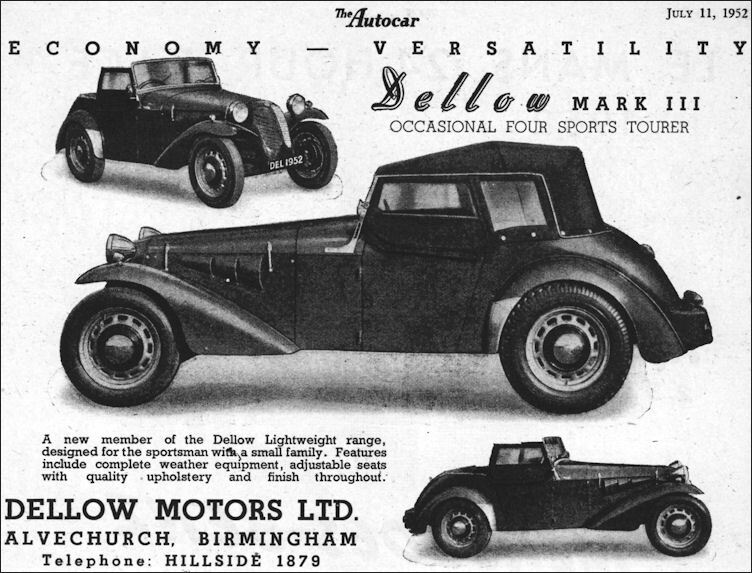 Dellow Mark III Sports Tourer, a four-seater model introduced in April 1952. Based on the two-seater (see 1950) but with a 1-foot longer wheelbase; the body is 7 in longer and 2 in wider. Full hood (top) and sidescreens are provided and the sidelamps are moved to the wings. The handiness and feel are somewhat reduced on the four-seater the turning circle, for example went up by almost 4 feet. Sold at £774.